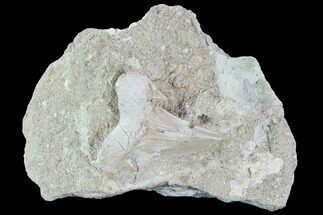 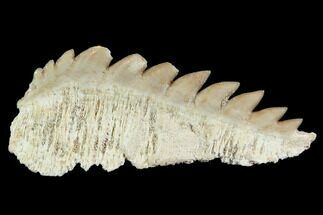 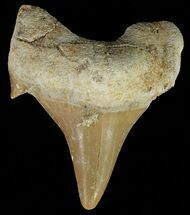 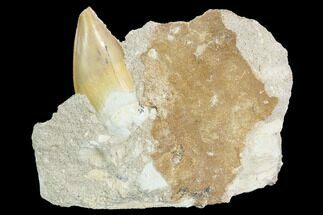 This is very large, 2" Cow Shark (Hexanchus agassizi) tooth from the phosphate deposits near Khouribga, Morocco. 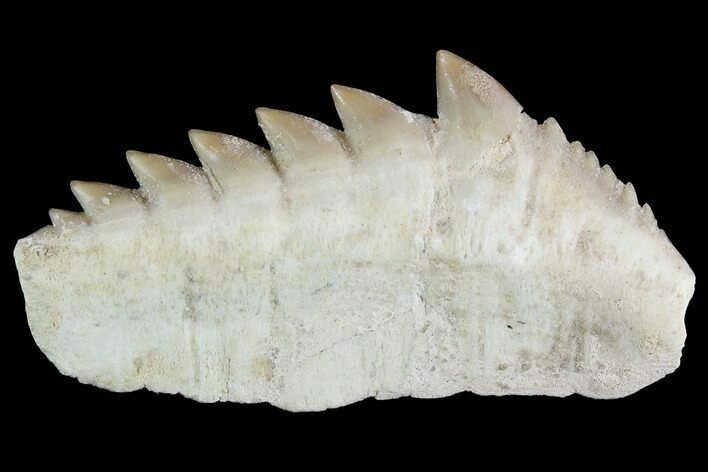 These teeth are fragile, so larger specimens like this one are rarely found intact. 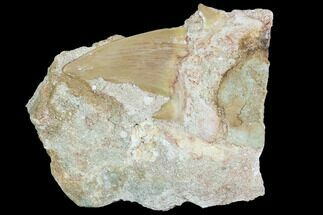 There is a repaired crack running through the tooth with a small bit of gap filling. 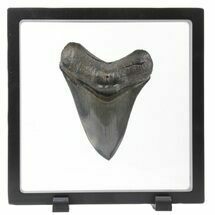 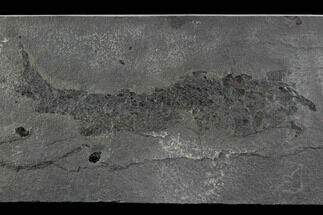 This shark has a large, thick body, with a broad head and blunt snout. 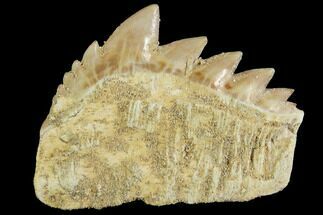 The top jaw has jagged, cusped teeth and the bottom jaw has comb-shaped teeth. 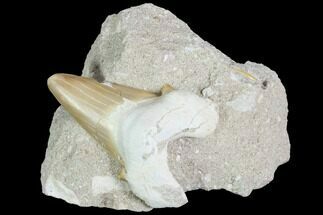 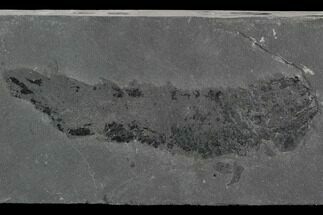 It lived in shallow water and was an opportunistic predator feeding on animals along the bottom.